There’s no sound quite as magical as a baby’s laughter! Those tiny giggles have the amazing ability to brighten even the most stressful, exhausting days. One of my favorite children's toy brands wants to make sure there is as much baby laughter in the world as possible. Bright Starts™, a brand committed to smiles, giggles and happy babies, is calling all tiny tots to join the League of Little Laughers! And nothing is better than sharing laughter with friends and family! 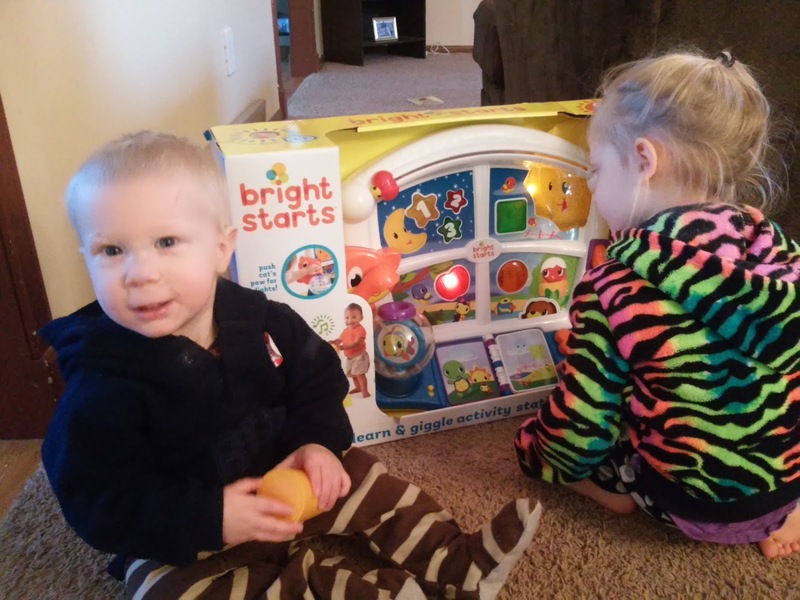 We got to host a Bright Starts The League of Little Laughers Play Date and we had so much fun sharing laughter with all my children's cousins and friends! Bright Starts sent us so many fun toys to play with and enjoy...and LAUGH! What a fun party! The children were instantly loving all the fun toys! The Spin & Giggle Puppy was a hit and the children loved watching the balls fly around and pop out of the puppy! 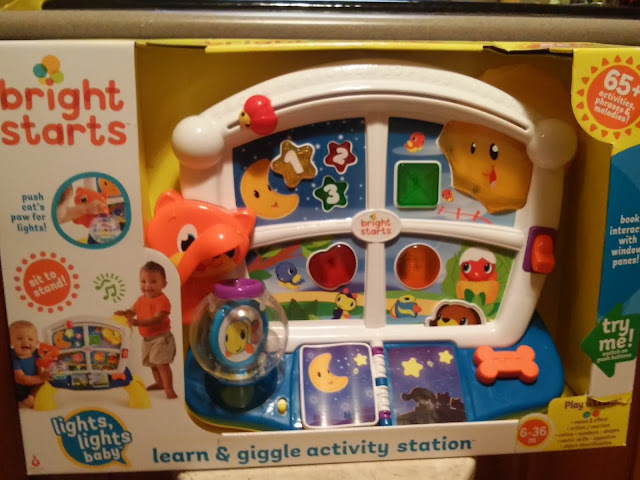 But the favorite toy of the party had to be the Bright Starts™ Learn & Giggle Activity Station™! 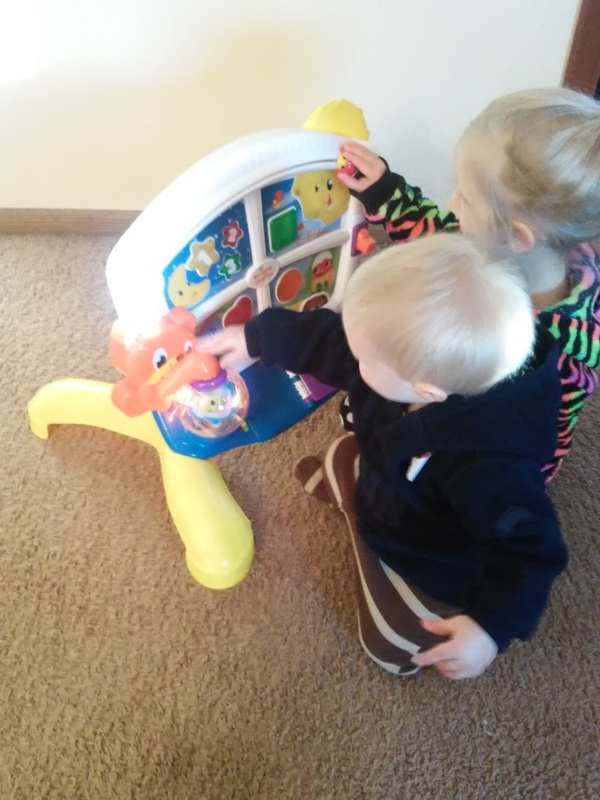 The wide array of different activities on this toy appealed to the children of all ages and it was the hit of the playdate! 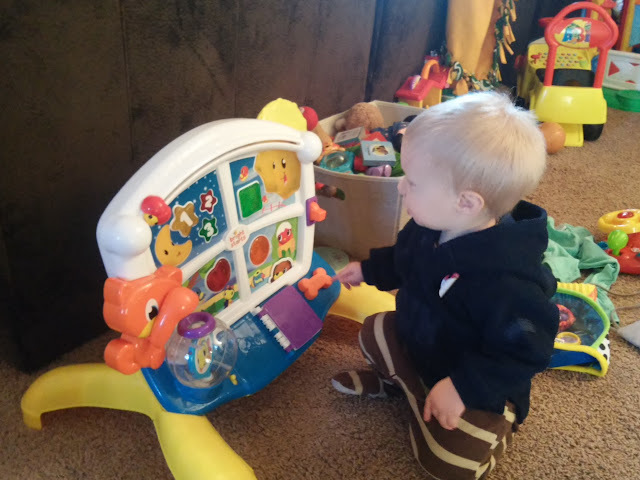 Bright Starts Learn & Giggle Activity Station is a window full of activities for baby to explore and learn! Baby can sit and play or stand and play. Each flip book page interacts with a different window pane, telling stories of different times of day. Press buttons in the window panes to hear phrases, shapes, colors, letters, numbers, object identification and cause and effect. The children couldn't even wait to play with it until after I removed it from the box! 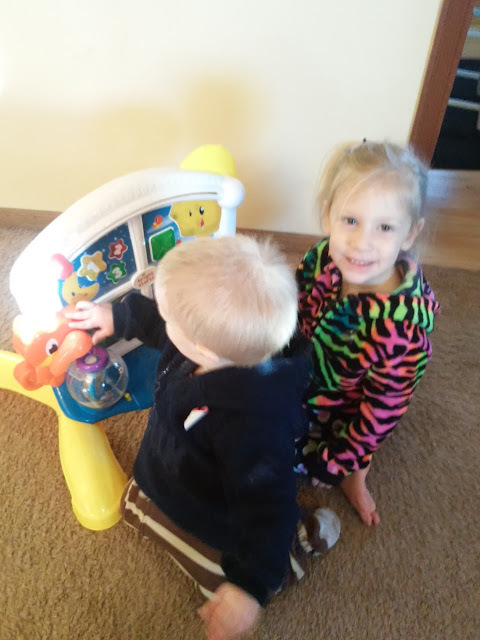 :) They were instantly having fun pushing the buttons and were begging to open it up so they could with more of the buttons and fun parts of the toy! They loved finding all the different ways to interact with the toy and watch lights, sounds and music come from the Learn & Giggle Activity Station! Press down on the kitty's paw to see an exciting light display inside the playful fish bowl. The sun spinner lights up. A ladybug ratchets across the top of the window sill. Pull down on the doggie treat for a pop-up surprise that will delight baby. The light switch flips back and forth to introduce opposites. This amazing window will keep baby engaged with more than 65 sounds, melodies, lights and phrases! This action-packed toy is a window of opportunities for little hands to explore! It was great for the children at the playdate from ages 6 months to 3 years old! All loved it and could interact with it over and over! Plus, from now until this Saturday (tomorrow! ), there is an exciting deal on Bright Starts products at Toys ‘R Us*! 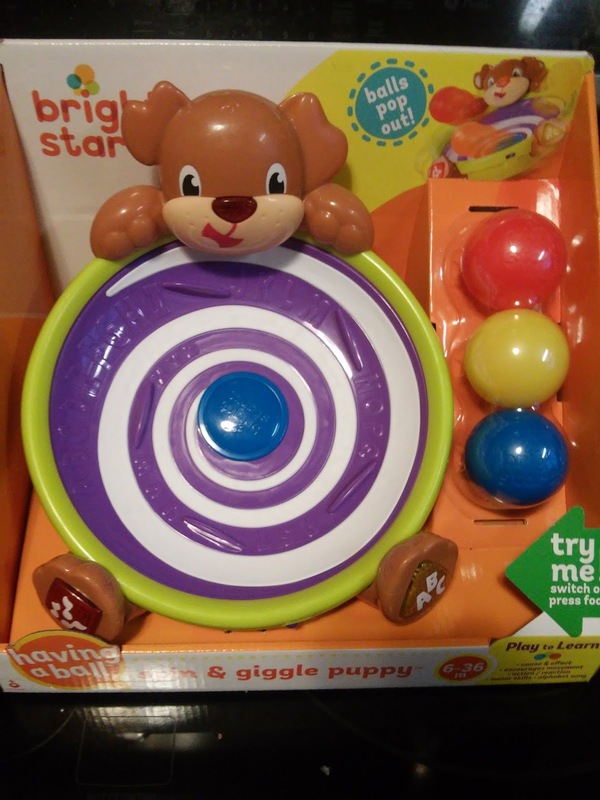 The “Lights, Lights Baby” Collection (featuring the Learn & Giggle Activity Station) and the “Having a Ball” Collection (featuring the Spin & Giggle Puppy) are 40% off, both online and in-store. 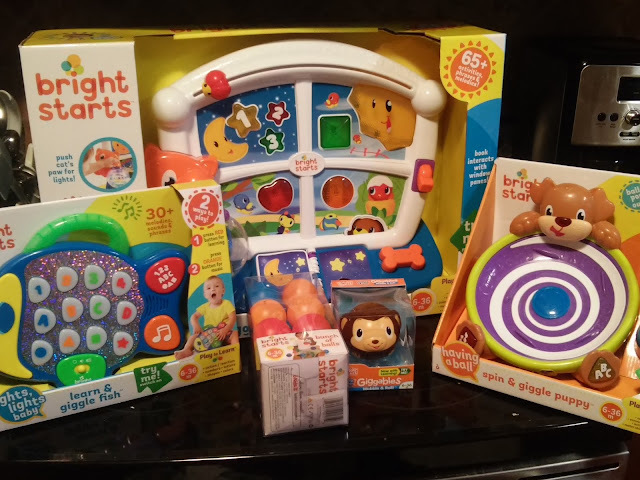 Hurry over to save on these fun toys that are sure to make hours and hours of fun and giggles!